This is an unusual one. 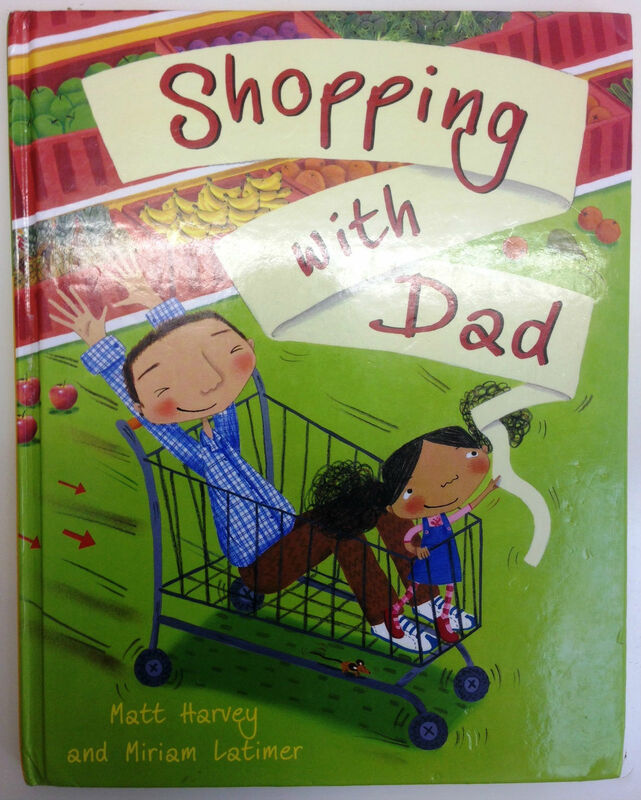 We found Shopping with Dad by Matt Harvey and Miriam Latimer (Barefoot, 2008) on a visit to the excellent children’s cafe Beanies in Croydon. 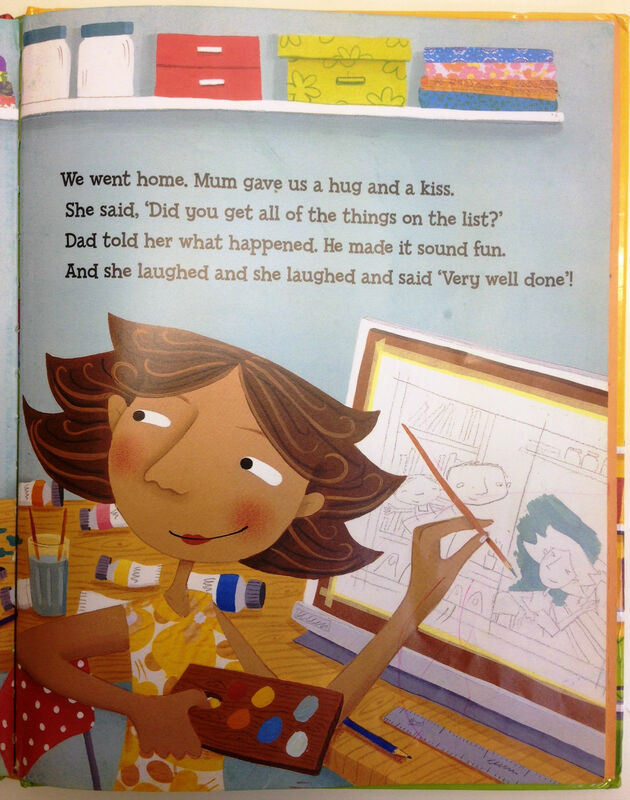 Barefoot Books are always positive and inclusive and so it was a pleasure to read about a dad who isn’t useless, though he does end up at the centre of a mess on a shopping expedition for weatherbread and dangerjam.